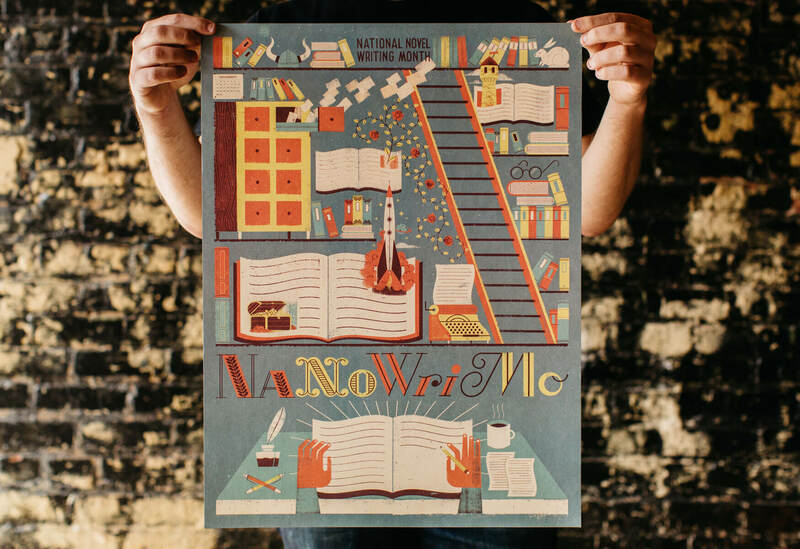 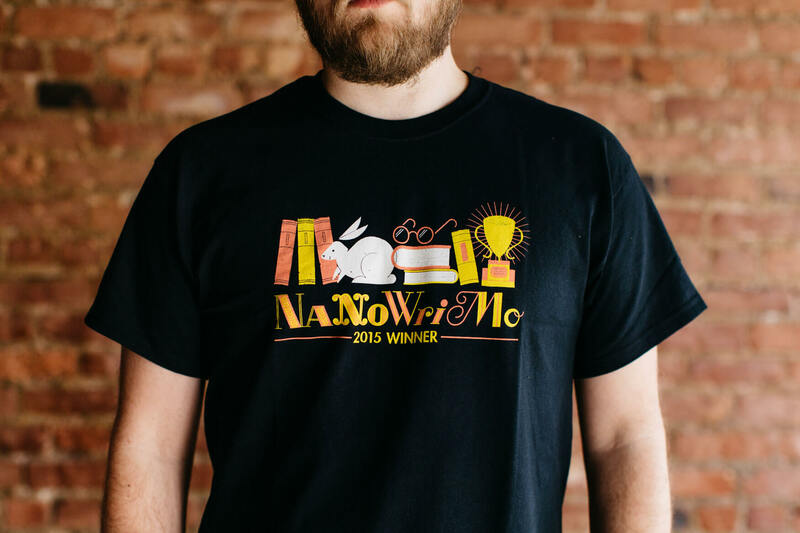 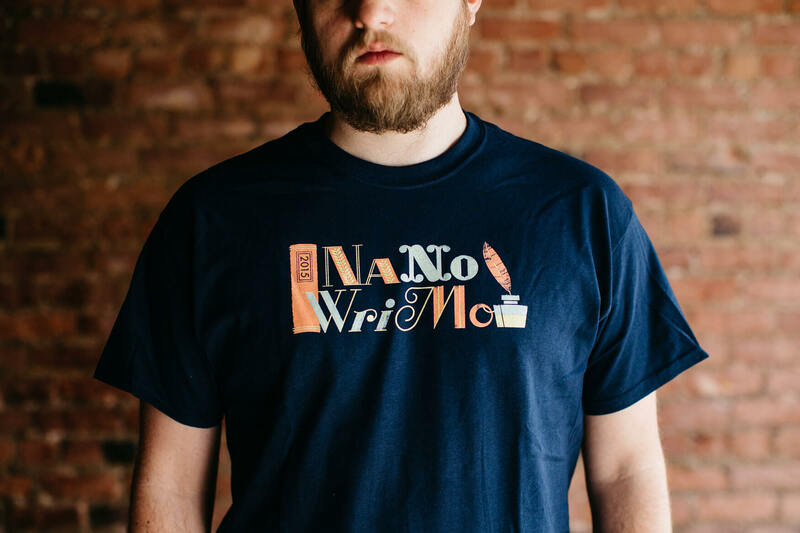 I’m thrilled to have gotten to collaborate with the amazing non-profit National Novel Writing Month (aka, NaNoWriMo) on the branding for the 2015 edition. 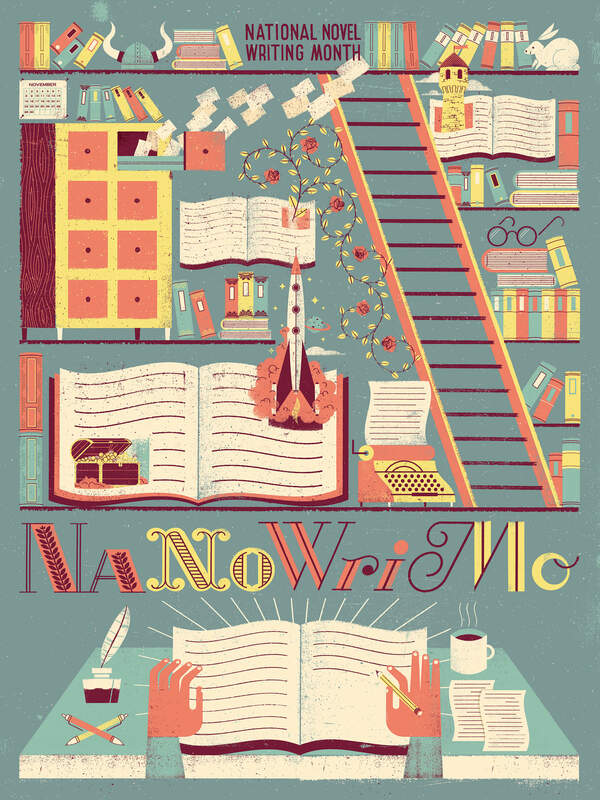 We built a dreamy, living library, which will live in a whole suite of materials, ranging from posters to mugs to shirts to bookmarks. 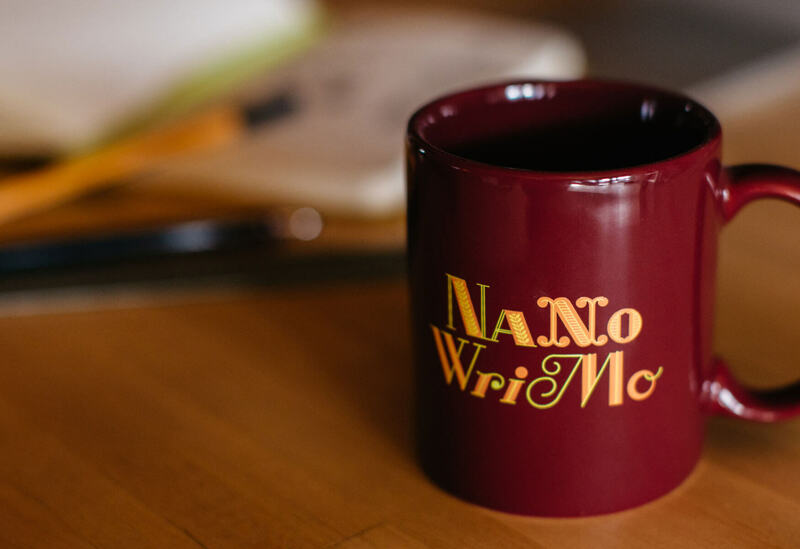 The library features scores of references to classic literature and NaNoWriMo inside jokes.